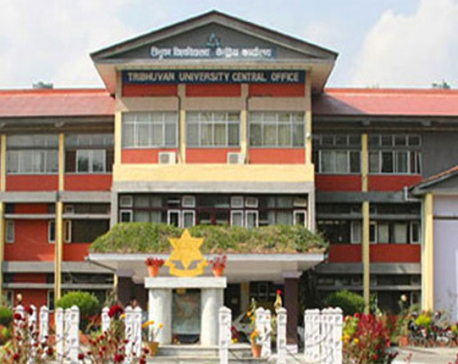 KATHMANDU, July 30: Tribhuvan University (TU) has opposed taking action against its top officials including the vice-chancellor, rector and registrar, who were found guilty by the Medical Education Probe Commission (MEPC) of irregularities in issuing affiliations to medical colleges. TU's stance goes against the agreement reached between the government and Dr Govinda KC a few days ago. The government has not taken any initiative to implement the MEPC report which was submitted to it more than five months ago. In course of ending the 27-day-long 15th hunger strike by Dr KC on July 26, the government signed a nine-point deal with him that includes taking action within two months against 43 officials held guilty by MEPC. Those recommended for action by the MEPC are officials of the TU, Kathmandu University (KU), Nepal Medical Council (NMC) and experts. However, the Office of the Registrar, TU, has dismissed the report of MEPC, challenging its legality. Issuing a press statement on Saturday, TU Registrar's Office said that the report submitted to the government on February 4 by MEPC Coordinator Gauri Bahadur Karki was "biased and produced on someone's instructions." Talking to Republica, TU Registrar Dilli Ram Uprety termed the MEPC report invalid. "The invalid report cannot recommend action against the officials," he said, adding, "The chairman of the panel finalized the report alone and submitted it to the government. One member of MEPC was outside the country while its member-secretary had written a note of dissent on it." The Medical Education Probe Commission has recommended stringent action against 43 including top TU officials for their involvement in irregularities while issuing permissions to private medical colleges. The MEPC was coordinated by Gauri Bahadur Karki, former chairman of the Special Court. Late Dr Upendra Devkota was a member of the MEPC whose member-secretary was Surya Prasad Gautam, joint-secretary at the Ministry of Education. Dr Devkota was in London for his treatment when the report was prepared and submitted to the government. Against Uprety's claim, Dr Devkota had written a letter from London to the MEPC on 25 January, 2018, clearly mentioning that he agreed with the report to take action against those officials. "I agree with the report prepared by Karki," his letter reads. MEPC coordinator Karki said that they submitted their findings to the government. "The government should either prove it wrong or take action against them," he said. "They are guilty and are now afraid of action. So, they are making up story by hiding the facts. They had even filed a writ petition at the Supreme Court against the report but the SC quashed it," he added. The MEPC, which was formed in April 2017 to investigate the controversies of medical education, submitted its report on Feb 4 to the then Prime Minister Sher Bahadur Deuba, recommending taking action up to suspension against 43 officials including TU Vice Chancellor Prof Dr Tirtha Raj Khaniya, TU Rector Prof Dr Sudha Tripathi and TU Registrar Uprety. Prof Khaniya, Prof Tripathi and Uprety, were appointed from the quota of Nepali Congress, then CPN-Maoist Center and then CPN-UML respectively. According to the report, those officials recommended for immediate sacking, holding them ineligible for any future appointments are VC Khaniya, Rector Tripathi, Registrar Uprety and advocate Narayan Khanal, TU's legal advisor. The officials not to be appointed in any government and semi-government bodies in future are Lok Man Singh Karki, former chief of Commission for the Investigation of Abuse of Authority, former TU VC Hira Bahadur Maharjan, and Dr Nil Mani Upadhyaya, former registrar of NMC. Similarly, those officials ineligible for appointments at government and semi government bodies are Dr Prakash Raj Neupane, former chief of Bhaktapur Cancer Hospital, Dr Chin Bahadur (CB) Pun, former director at BP Koirala MemoriaL Cancer Hospital of Bharatpur, Dr BP (Bal Bhadra) Das, former vice chancellor of BP Koirala Institute of Health Sciences, Dharan. Likewise, the officials restricted to be appointed in government and semi-government bodies for five years are Dr Damodar Prasad Gajurel, former chairperson of NMC, Prof Bharat Jha, Prof Dr Govinda Prasad Sharma, Prof Dr Trilokpati Thapa, Prof Dr KB Raut, Dr Manohar Prasad Gupta, Chandra Lal Shrestha, Hirendra Man Amatya, Dr CD Chawala of KU, Prof Shyam Sundar Malla of KU, Prof Dr Panna Thapa of KU, Prof Dr Ramesh Prasad Singh, Dr Jagadish Chautat of KU, Prashyumna Shrestha of KU, Dr Ramesh Kumar Adhikari, Dr Rohit Shrestha, and Dr Ojaswi Nepal. Those experts restricted for future appointments at government and semi-government bodies for three years are Prof Dr Karbir Nath Yogi, Prof Dr Jyoti Sharma, former IOM dean Prof Dr Keshav Prasad Singh, Prof Dr Pramod Kumar Shrestha, Prof Dr Parashu Ram Mishra, and Prof Dr Ram Prasad Uprety. Those restricted to be appointed in government and semi-government bodies for two years are Prahlad Pant of TU, Dr Anil Jha, former NMC vice-chairman Dr Sashi Sharma, and Dr Saroj Shrestha. Those recommended to be sacked from dean is Tara Prasad Sapkota, dean of Faculty of Law, TU, and sacked from TU executive council are Ram Prasad Khatiwada, dean of Faculty of Science, Rajendra Paudel, member of TU executive Council, and Hari Parajuli. Meanwhile, the Ministry of Education, Science and Technology (MoEST) has been studying the report of the Medical Education Probe Commission (MEPC) to find out the course of action against 43 officials. The Ministry also sought advice from the Office of the Attorney General during the premiership of Sher Bahadur Deuba. 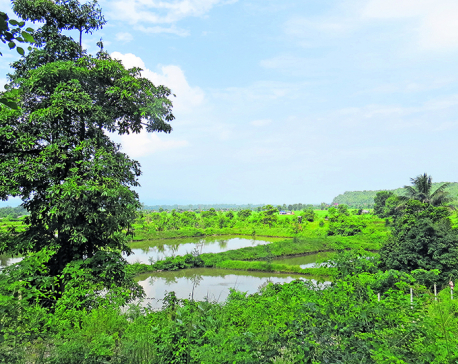 "Now, we are studying the report and looking for ways to take action," said Baikuntha Prasad Aryal, spokesperson for the MoEST. "First, they will be given an opportunity to produce clarification," he said. "However, it is still uncertain which authority will take steps for it. The Prime Minister is the Chancellor of Tribhuvan University in case of TU officials while Office of Prime Minister and Council of Ministers may take action in the case of others."